One Monk Miniatures: Splinterwood Elven Spearmen and Mounted Hero! 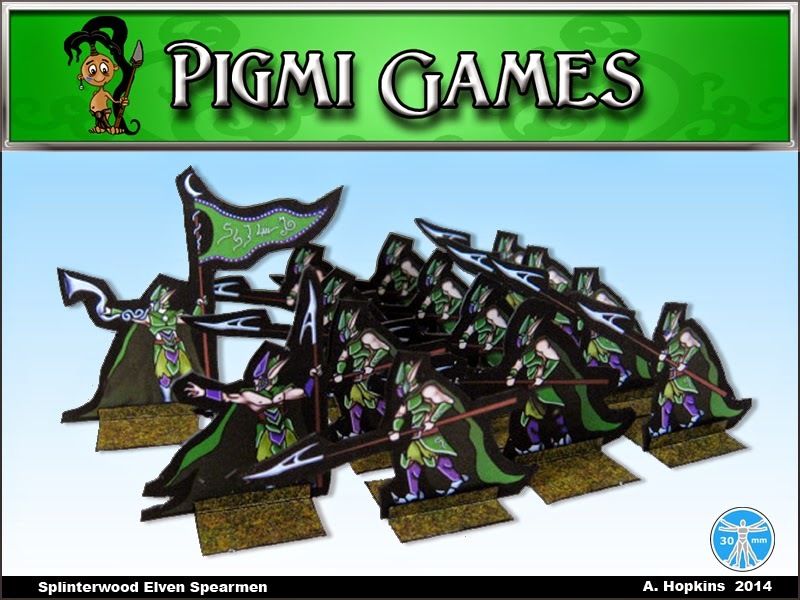 Splinterwood Elven Spearmen and Mounted Hero! Pigmi Games presents two offerings this week, and one of them is free! 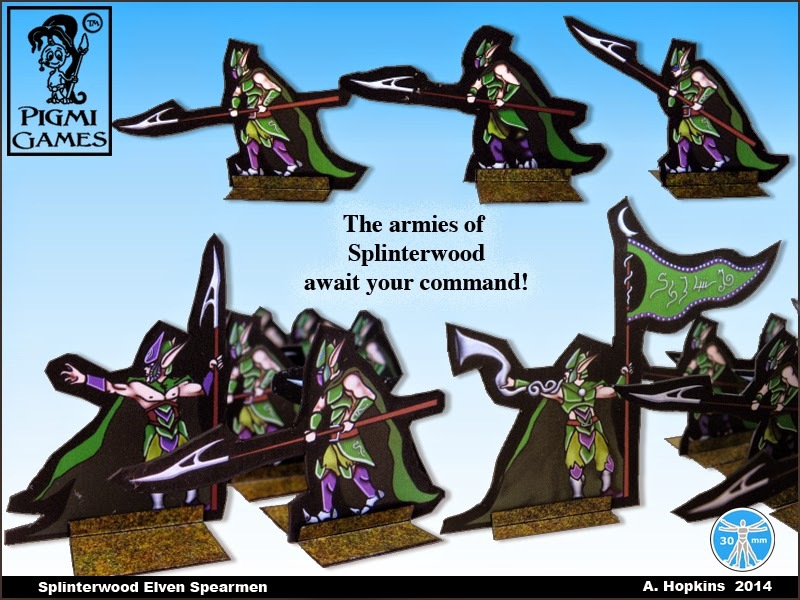 The Splinterwood Elven Spearmen; A unique fraternity of Splinterwood Elves the Splinter Spears are highly trained to move as one and strike as one. They start their training when they are very young and once they are inducted into the Spears they are a member for life. By themselves a Splinter Spear would be a formidable opponent but as a group they posses the skill to turn the tide of any battle. It is not surprising that so many of the Splinter knights are pulled from the dedicated ranks of the Splinter Spears. 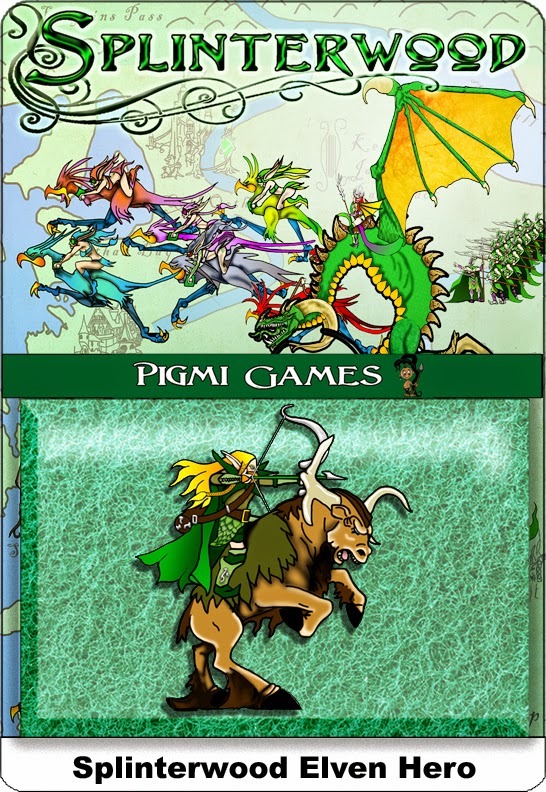 Also up this week is the Elven Hero mounted on a Battle Yak, and he's free!